It must have been a weird scene on Wednesday, September 2nd at Summer Avenue and Stage Road, the headquarters of Memphis Goodwill Industries, as a combination of federal agents and the Memphis police swarmed the building. Though they arrived before noon, they left only at midnight, having carted out the last of the bags, boxes, and crates they had confiscated. WMC Action News 5 did a little quick research and uncovered a $9.79 million janitorial contract between the nonprofit and the Department of Treasury. The organization does offer such services as an employment program for local residents and this particular contract is in that mix. Almost no one is talking. The Memphis police say that they were merely assisting the federal agents, who had a search warrant. The U.S. Attorney’s office had no comment, and, at least temporarily, the phone lines at Goodwill Memphis’ seemed to be down, though the retail stores were conducting business as usual. We are thankful to say that operations are running as usual today. While we’re not able to share a great deal at this point, we can tell you that yesterday’s visit was related to federal government contracts we have to employ local residents, including those with disabilities. We had been in regular contact with the commission who oversees these agreements about questions they had on certain elements of contract requirements. On our end, we’ve worked tirelessly to address their concerns and get things right-tracked, and we’ll continue to do so. So while this particular issue was one we had become aware of, the manner of yesterday’s visit definitely was a surprise. We will keep working alongside everyone involved to ensure we reach a timely resolution so that we may focus on our mission of job creation and support for those with barriers to employment. I do want to reiterate that this has in no way affected our general operations, including donations, store operations, the Excel Center, jobs centers and contracts. There is a short but intense history around this agency and its federal contracts. The Commercial Appeal reports that even as the raid was occurring, an out-of-court settlement was reached with Thomas Murach, a vice president who had alleged that the organization was involved with contractual fraud. The terms of the settlement are confidential, and Martini says the settlement and the raid are unrelated—as unlikely as that seems to us. 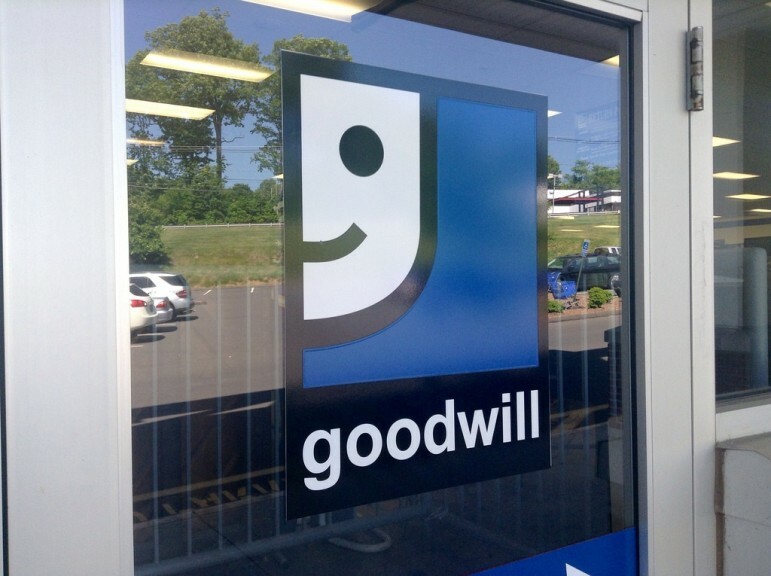 In July of last year, Murach, a vice president of strategic planning and business development, filed a suit against Goodwill, claiming he was wrongfully terminated after he informed a board member about what he saw as fraud with regard to a $3.5 million cleaning contract that Goodwill had with the Internal Revenue Service offices in Memphis. Among other things, he claimed that the payroll contained “ghost employees.” At the time, Murach had only recently been assigned to perform oversight for government contracts. After Martini refused to bring the issue to the board despite Murach’s urgings, Murach himself took the initiative to meet with a board member and was fired for insubordination. He then sued for wrongful/retaliatory discharge, seeking back pay, lost benefits, and damages.